Article by Jeff Starkey, Chief Ski Patroller from Nevis Range. 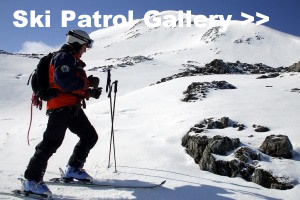 On the face of it we patrollers have a dream job, “best job on the mountain”, but the reality can be somewhat different. Some friends and colleagues recognised problems but didn’t necessarily relate them to the cause or the wider issues of trauma or stress management. I first met Angela Lewis post crisis, during my treatment a year later. Some of you will remember Angela coming and speaking at the BASP training weekend in 2014 about Trauma Risk Management (TRiM). I wish I and importantly others had known more about TRiM before my incident. Trauma Risk Management (TRiM) is a form of Peer Support; it is a common sense, on-site strategy for supporting people following an incident where colleagues or team members have been exposed to a traumatic event. It builds on the everyday support from peer group interactions which in most cases is all that is required. It sits as the first step after difficult circumstances and serves to either identify issues which need immediate professional support or more likely, simply provide people in need a little short term, lower level assistance from their peers. TRiM is trained over a course of 2 days and teaches awareness of signs and symptoms of mental trauma as well as how and where to signpost people for self help. Volunteers are preferred and it is important that the training isn’t attached to a position or reward. 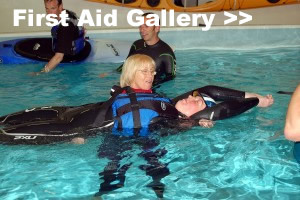 It is essential that practitioners have spare time to train and the ability to carry out support at short notice. People must be discreet and maintain confidentiality. People who have had significant trauma in the last year are not advised to train. They must be trusted and respected by colleagues, not necessarily the most experienced in the professional field but a wide range of life skills and experience. It is ideally suited to “natural helpers”, the sort of people who are by nature, the go to types. They must be mature, sensitive and empathetic. They must have good communication skills. They must be able to adhere to the principals and be able to establish and maintain boundaries within TRiM work. 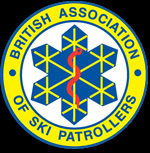 I am looking to organise a TRiM Training Course within BASP to establish a pool of trained individuals who can assist other patrollers, members or colleagues and to help the ski areas manage their health and safety obligations. Interested? Let me know and we can work together to schedule a date at the earliest possible time. Costs and venues etc. tbc. Please get in touch ASAP.